Costa Rica really isn’t that far from the U.S., so you can definitely visit the country in one week. As with visiting any country for a week, there will obviously be things you don’t see. 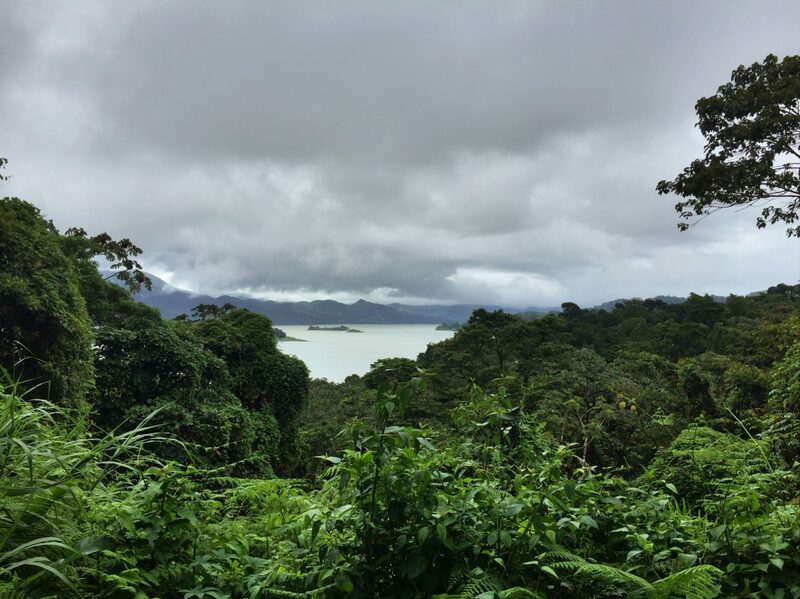 However, this One Week Itinerary for Costa Rica that starts from Liberia and ends in San José allows you to see the best things Costa Rica has to offer—the beach, rainforests, volcanos, and the city. In this one week itinerary for Costa Rica, you fly in to Liberia and fly out of San José. When you land in Liberia, take a shuttle to Tamarindo. The shuttle will take about 1.5 hours. Once you’re in Tamarindo, check into where you’re staying and head to the beach. Tamarindo is a pretty small town, but it’s filled with lots of shops and restaurants. 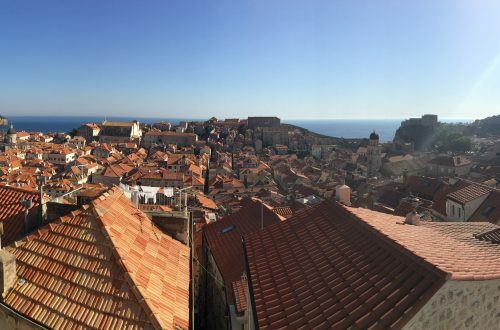 It’s definitely been influenced by tourism over the years, but there are plenty of cool places to check out. 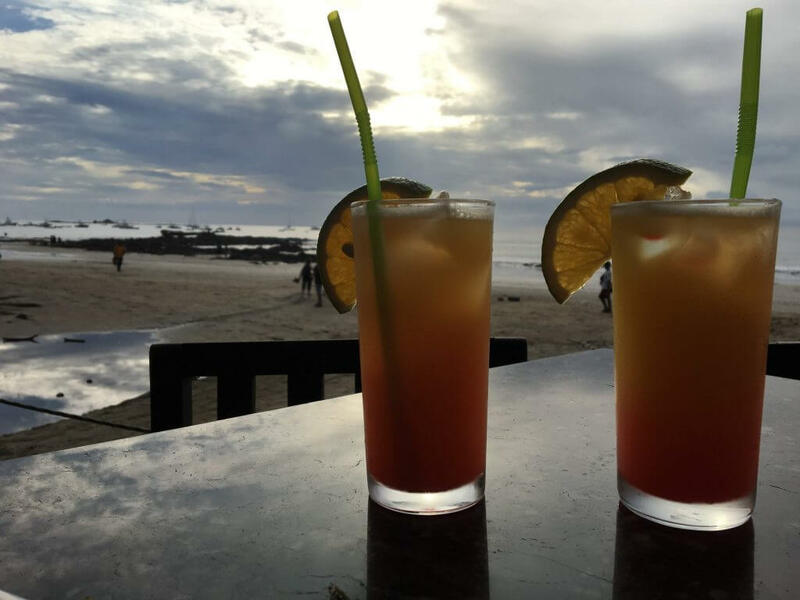 For your second day in Tamarindo, you obviously can’t go wrong with relaxing at the beach all day. However, we recommend that you do an estuary tour in Tamarindo. The Tamarindo estuary is located just north of the city. You can either walk from Tamarindo to the beginning of the estuary where there’s a small brown building and hire a guide to take you up the estuary, or your hostel/hotel/Airbnb can hire one for you. With the latter option, they’ll probably pick you up right where you’re staying and save you the 20 minute walk. The Tamarindo estuary is a really neat nature reserve where you can see lots of different wildlife. Obviously, the amount of wildlife you see depends on your luck, but the guides generally know where the animals are and how to spot them so you can see them. 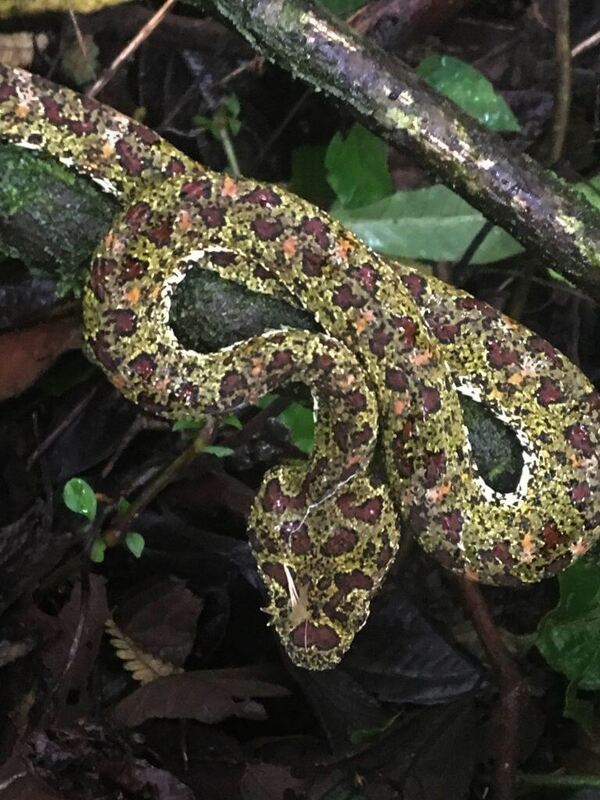 This is why we recommend hiring a guide at most national parks in Costa Rica. On the estuary tour, we saw tons of animals, including crocodiles, various species of birds, iguanas, and howler monkeys. 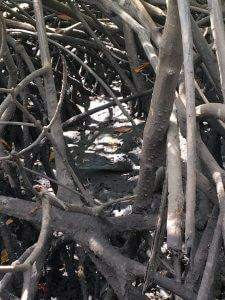 Look closely to see the crocodile! As the estuary tour only takes about 2 hours, you’ll have the rest of the day free in Tamarindo to enjoy the beach, take surf lessons, or even visit a nearby beach if you want. At the very least, we recommend enjoying your time at the beach because it’s not necessarily going to be as sunny or warm in the rainforest where you go next. If you’re visiting Costa Rica during rainy season, here’s out Perfect Packing List for Rainy Season in Costa Rica. Day 3 of your one week itinerary for Costa Rica begins with an early morning shuttle (normally around 8 a.m.) from Tamarindo to Monteverde. The ride from Tamarindo to Monteverde is pretty smooth most of the way. However, the final ascent up to Monteverde is an unpaved, winding road. Warning: It will be difficult to sleep, read, eat, or generally look down from the road on this part. When we finally got to Monteverde, Becca ended up vomiting from the car ride up to Monteverde. 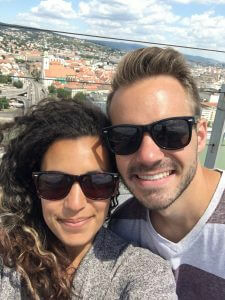 This is one of the not so fun sides of travel that doesn’t always show up through our blog. Once in Monteverde, you could immediately go zip-lining, to one of the two cloud forest national parks, or hiking. Due to Becca’s upset stomach, we saved those activities for Day 4. Later at night once it got dark, we went on a Night Walk. There are about 3 different wildlife night walks in Monteverde. We did the Kinkajou Night Walk and had a great experience. We highly recommend doing this because you’ll see so much wildlife as the jungle really comes alive at night. Plus, it’s a pretty cool experience to simply be in the jungle at night. When you’re walking with your group, go to the back of the group, turn around, and cover your flashlight for a second. The pitch black jungle and its sounds will give you an eery, yet peaceful feeling. We saw hummingbirds, toucans, tarantulas, quetzals, giant walking sticks, and green viper snakes. The night walk was well worth it. Some reviews will say that the animals you’ll see on the night walks are fake, but we can assure you that the animals on the Kinkajou Night Walk were not fake. Yes, some of the birds were sleeping and appeared “fake,” but when a gust of wind came and violently shook a tree branch, we saw a toucan wake up and move. 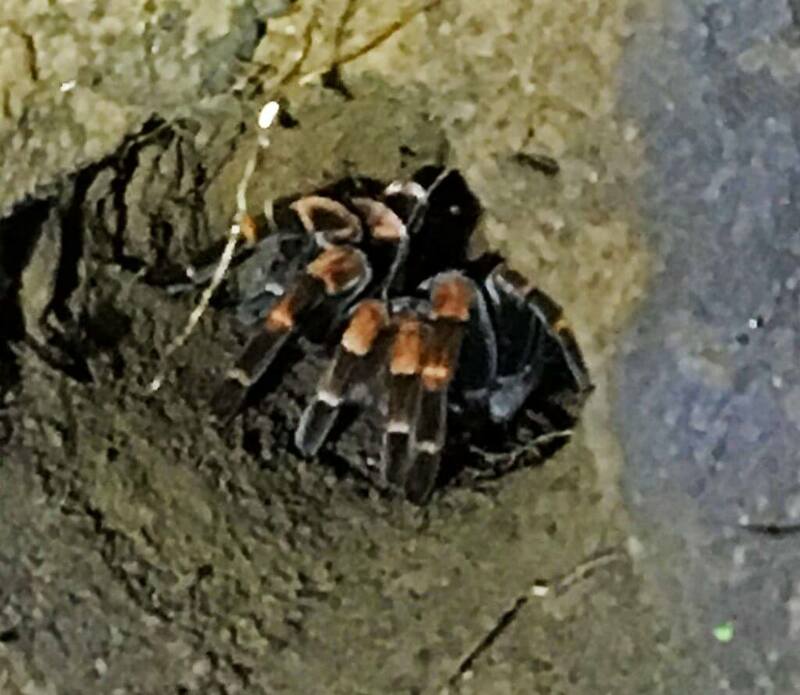 We just wanted to dispel some potentially damning reviews you might have read about wildlife night walks in Monteverde. 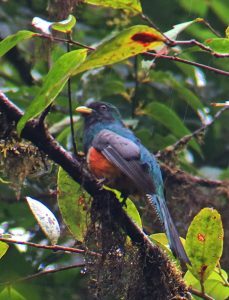 Alright, so on Day 4 get up early and check out the Monteverde Cloud Forest Reserve. The cloud forest has tons of wildlife and rich biodiversity. 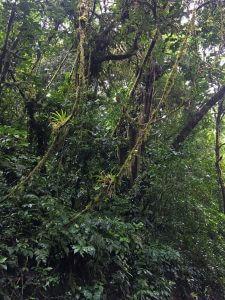 There’s a bus that leaves from the center of Monteverde and takes you directly to the Monteverde Cloud Forest Reserve. We recommend getting there early because there is often a line to get in, especially during peak seasons. As mentioned earlier, we recommend paying for a guide. We guarantee you’ll see way more wildlife and learn more than if you don’t hire one. Head back to Monteverde and get some lunch after visiting the cloud forest. 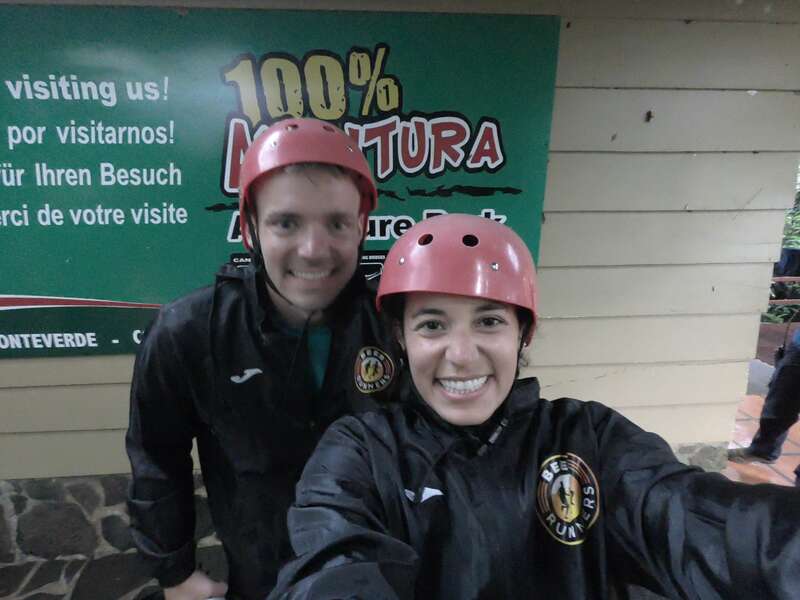 In the afternoon, head out to one of the Monteverde zip-lining places! We opted to go with 100% Aventura and couldn’t recommend it enough. The zip-lining was really fun and exhilarating, especially the “Superman” cables where you were strapped in facedown flying like Superman across the rainforest canopy. If heights aren’t your thing, check out 100% Aventura’s other offerings like ATV riding, horseback riding, or their hanging bridges tours. 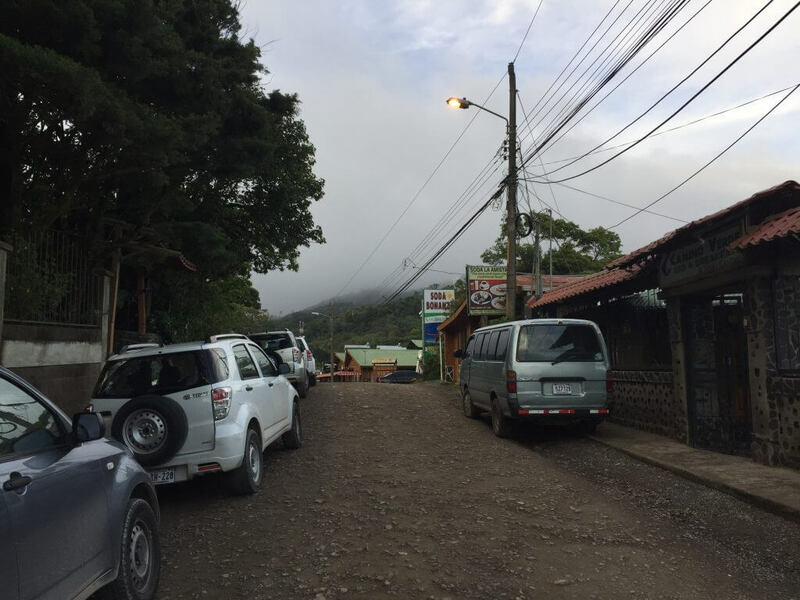 After the adrenaline rush of zip-lining, get some dinner and relax in Monteverde because you’ll be on the move to La Fortuna tomorrow morning. Day 5 starts with an 8 a.m. ride from Monteverde to La Fortuna. We chose a jeep-boat-jeep shuttle between the two cities and think it was well worth it. The ride down from Monteverde was just as bumpy as the one up, so be prepared. Once you get to the boat part of the ride on Lake Arenal, all the bumpy roads are done! FOR THE REST OF YOUR COSTA RICA ITINERARY!!! After the short ride across the lake, there’s just a quick, smooth ride into La Fortuna (maybe 45 minutes max). 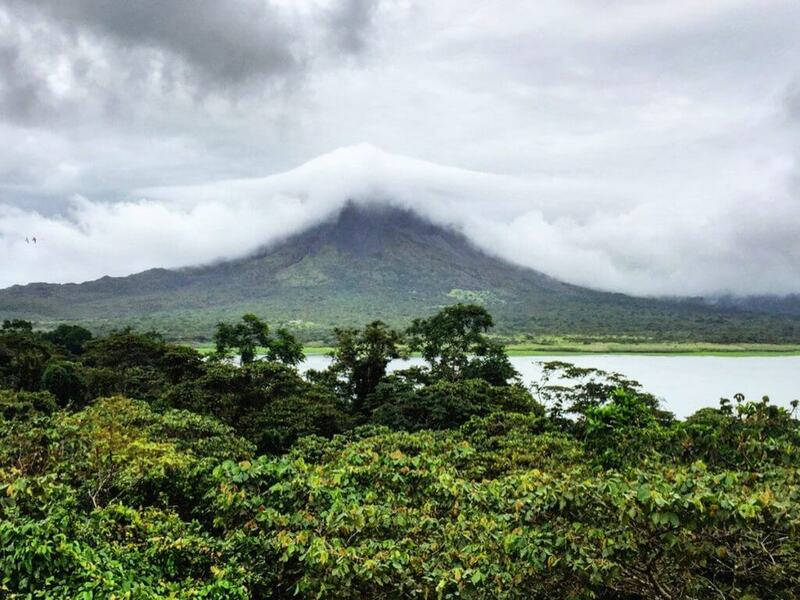 La Fortuna is basically built off tourism nowadays, so there are a ton of options for you here. They have everything from canyoneering to easy, relaxing nature walks. We recommend doing the Bogarin Nature Trail. While it is a nature reserve, they are very environmentally-friendly and are trying to rebuild the rainforest and restore animal habitats. Our guide, William, was outstanding. Ask for him if you go! 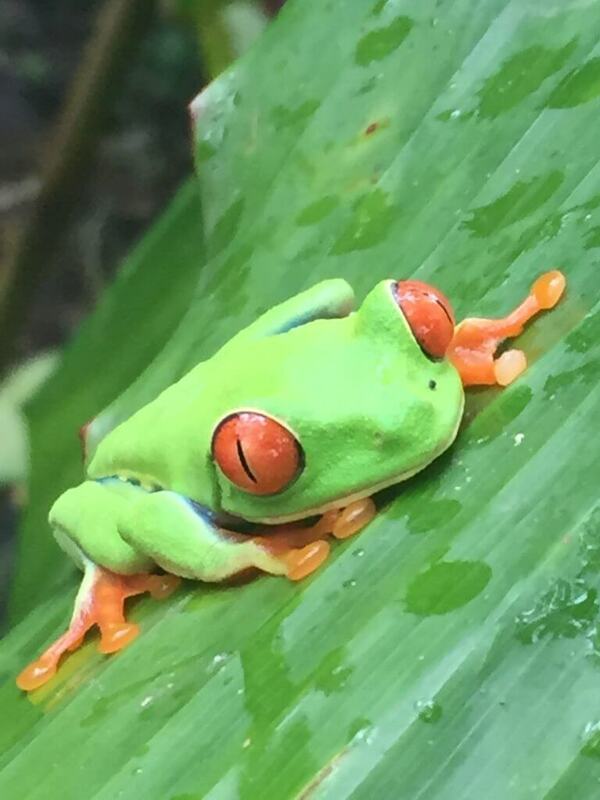 We saw more animals here than anywhere else we went in Costa Rica! And if you haven’t seen a sloth at this point in your trip yet, the guides at Bogarin will definitely help you spot one (or 10)! After the nature walk, you’ll probably want some time to relax and pamper yourself. Check out The Springs Resort & Spa. Here they have thermal pools heated by the nearby Arenal Volcano. The thermal pools have natural minerals provided by the volcano that help heal and rejuvenate the body. The Spring Resort & Spa has a two-day pass for about $65 (price may vary depending on the season). This is a good deal for one of the best thermal pools in La Fortuna. To save money while you’re there, pack some snacks! 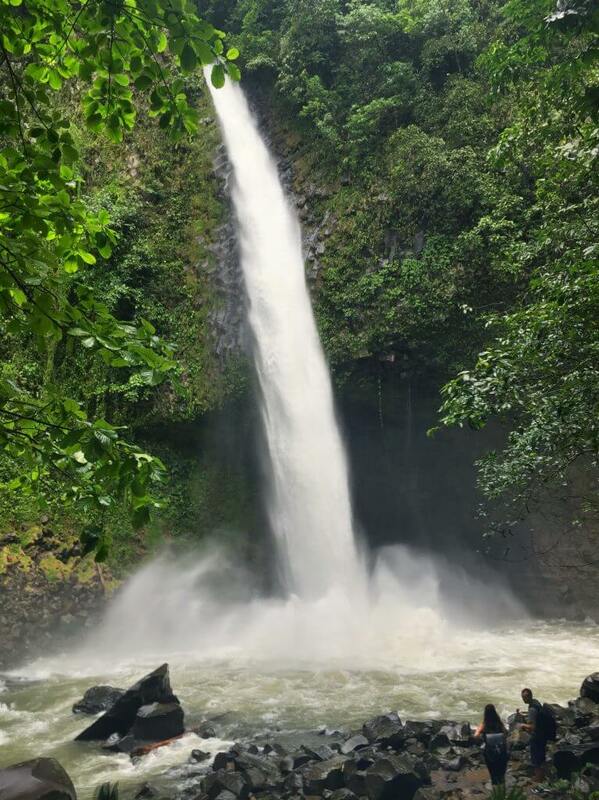 In the morning, head to the La Fortuna Waterfall. It’s about 45 minute to an hour walk from La Fortuna, but you can also take a taxi there. We took one there and decided to walk back. There’s a butterfly garden at the top of the waterfall and after a short, but steep hike down, you can see the bottom of the waterfall and swim in it. It’s pretty cool seeing it and is something cheap and fun to do in the morning. At night, head to the hot springs at The Springs Resort & Spa again because, after all, you still have that two-day pass! Check out all their different pools and just relax because chances are you don’t have these thermal baths at home. Head to Costa Rica’s capital city, San José, in the morning (another 8 a.m. departure). Check out the city center in San José and the area near the university. Depending on when your flight is, will determine how much time you have here. San José is often skipped over as tourists in Costa Rica immediately head to the beach, volcanos, or rainforests. 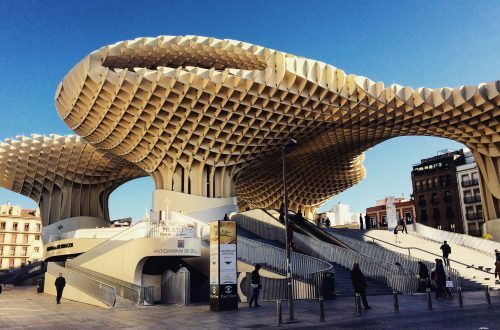 In recent years, however, San José has really tried to do a lot to make San José more attractive to visitors. It still might not have the same pull as other major cities in Latin and Central America, but it’s worth checking out. We hope this One Week Itinerary for Costa Rica helps those of you who are traveling to Costa Rica and flying into Liberia and out of San José. 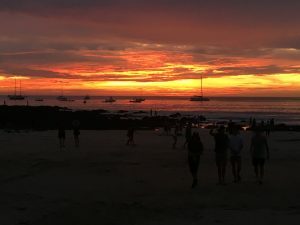 It was difficult for us to research this type of travel itinerary for one week in Costa Rica, so we wanted to write up a travel itinerary that might help you out. If you’re still looking for reasons to visit Costa Rica, here are 20 Photos That Will Make You Want to Visit Costa Rica. What other recommendations would you have for a one week itinerary for Costa Rica? 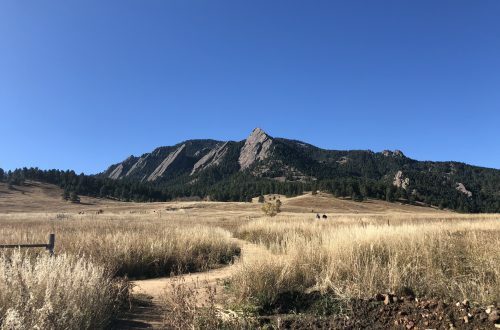 Are there places or things we missed?